Some oldies from a trip to Manchester back in October, because why not? My sister and I planned a weekend break to Manchester. I'd supposedly been there as a child but I have nooo recollection of the sort, so it felt like a trip to a new city. We kept it cheap and cheerful, staying in a very central Premiere Inn which was all we needed for our long weekend. 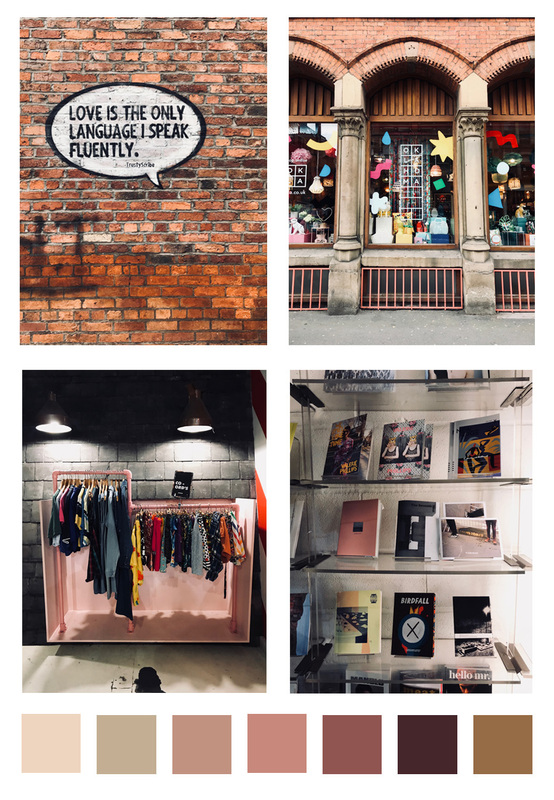 Our first day was spent wandering around the city, popping into shops we don't have here in Belfast and as usual, there was plenty of food involved. We even went late night bowling after a cocktail or two which ended very miserably, with me losing, as per when it comes to bowling though. 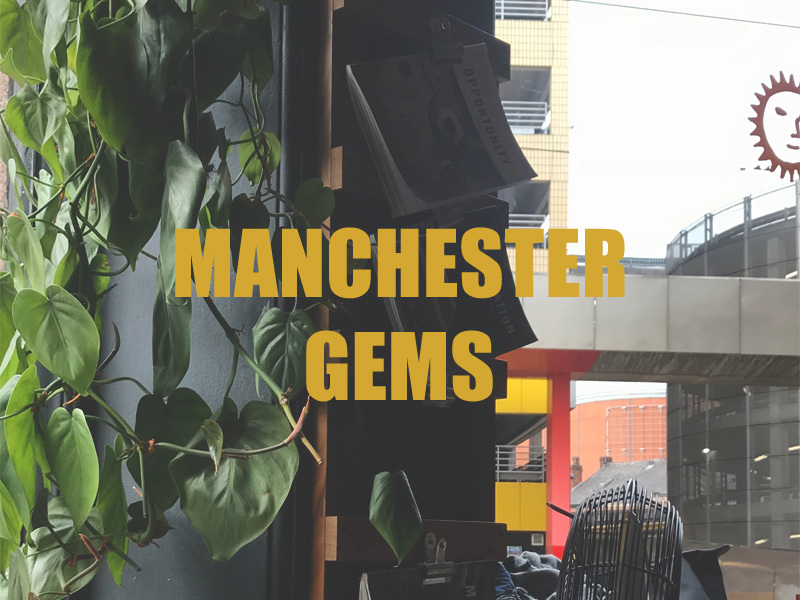 For our second day, I wanted to do something a little more unique to Manchester so I researched some lil independent spots, and google guided us towards the Northern Quarter. We had an awesome breakfast in Federal Cafe Bar and despite their crazy long queue to get a table, they managed to maintain a super chill atmosphere. 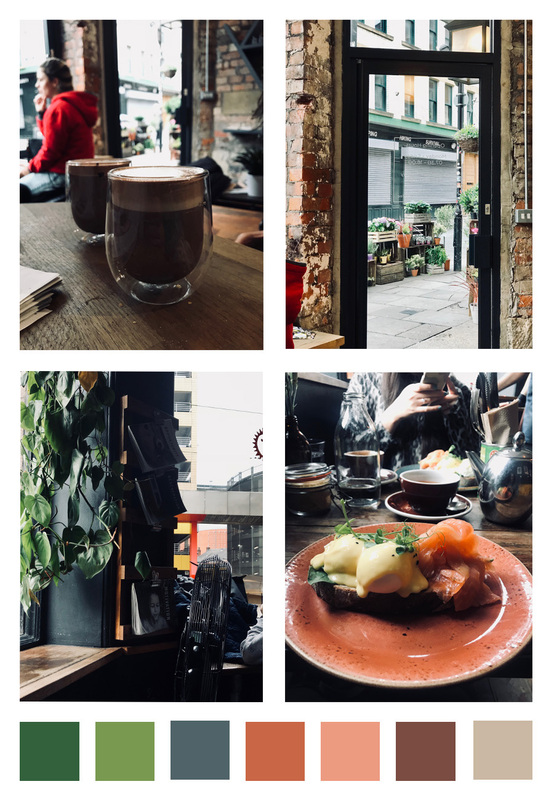 Not to mention, the brekkie was as beaut as their interior. Following brunch, we took a stroll around the nearing streets and found tonnes of independents, thrift shops, book stores and coffee spots. 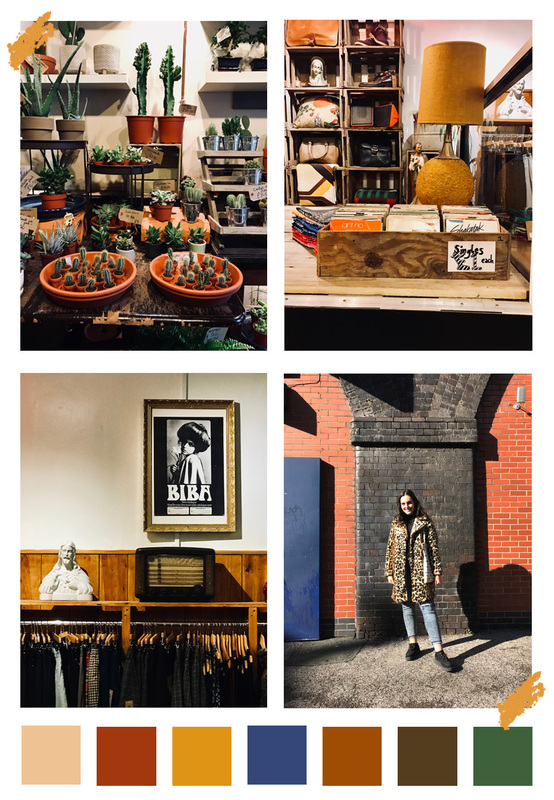 Some of my favourites & featured in my pics include: Oklahoma, Magma and Cow, where I ended up finding a second hand, and very oversized Levi's jacket, which I'd been on the hunt for, for years - so as you can imagine - I couldn't have been happier. The rest of our day was spent ogling at street art, popping into small florists, (where I picked up a tiny white squash for Halloween which has somehow survived & is currently residing on my shelf), stopping for many a coffee and we finished off with a delightful dinner at Asha's. Hey! 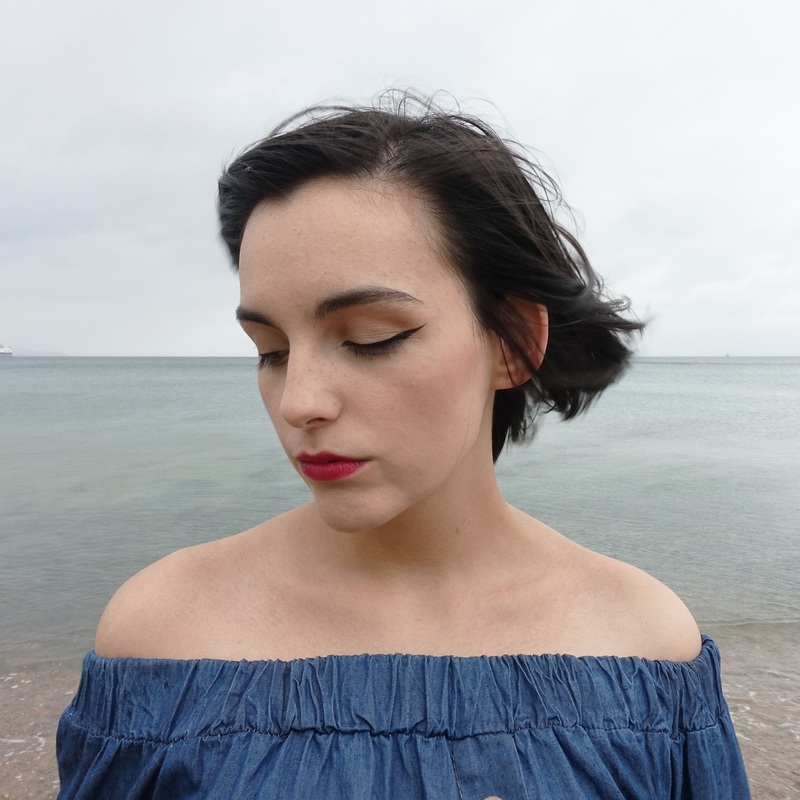 So I'm (very) slowly realising that blogging is... difficult. 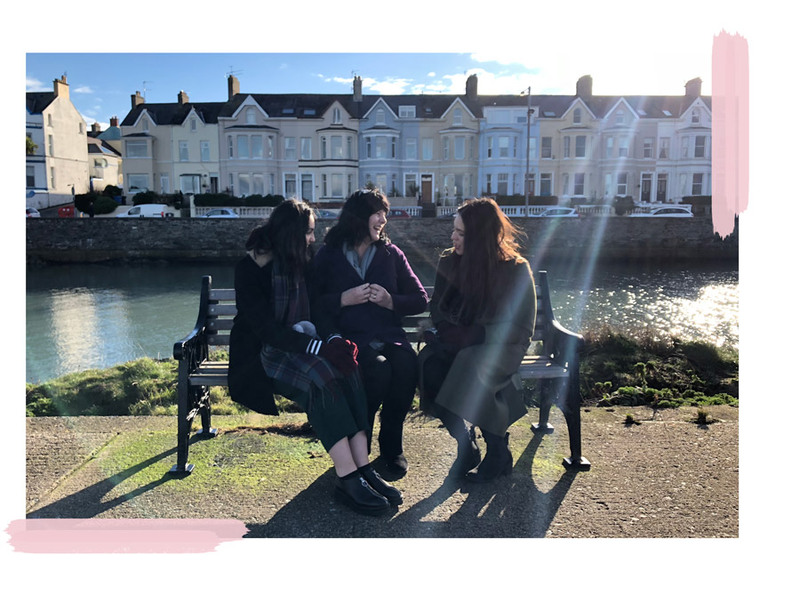 Initially, I'd hoped to blog about alllll my favourite outfits and latest purchases but oh my word, there are so many aspects to blogging I had just never fully thought through. Like, how could it be so difficult to get a couple of outfit snaps, some funky flat lays for a haul post and just chat about my own thoughts and feelings? Ehhh turns out it's actually quite demanding. 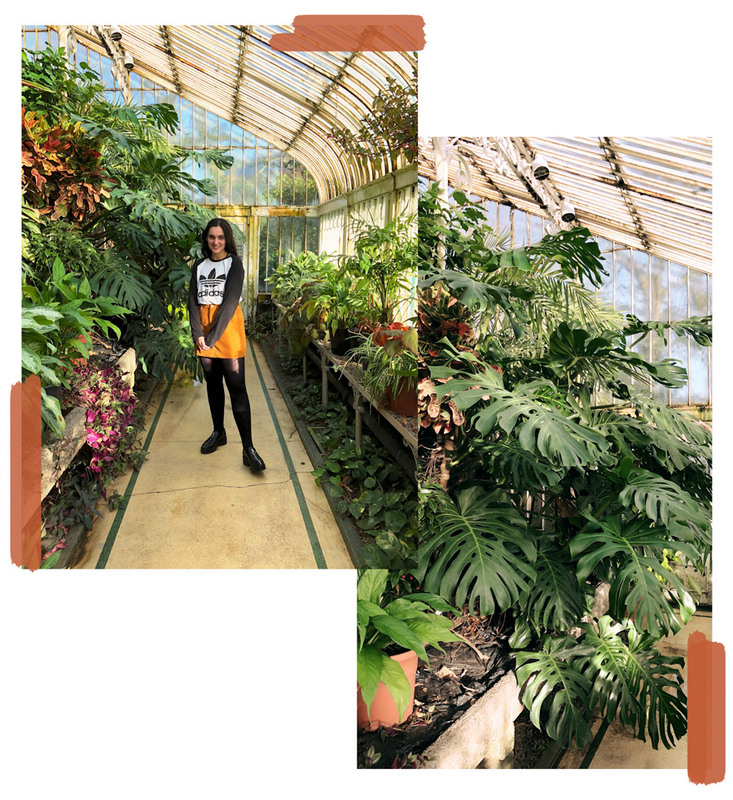 I'm aware my blog is a total mish-mash of my life rather than a space that solely revolves around my love for fashion - which I'd initially hoped for and because of this, it's something I rarely, if ever, even discuss with friends or promote online. 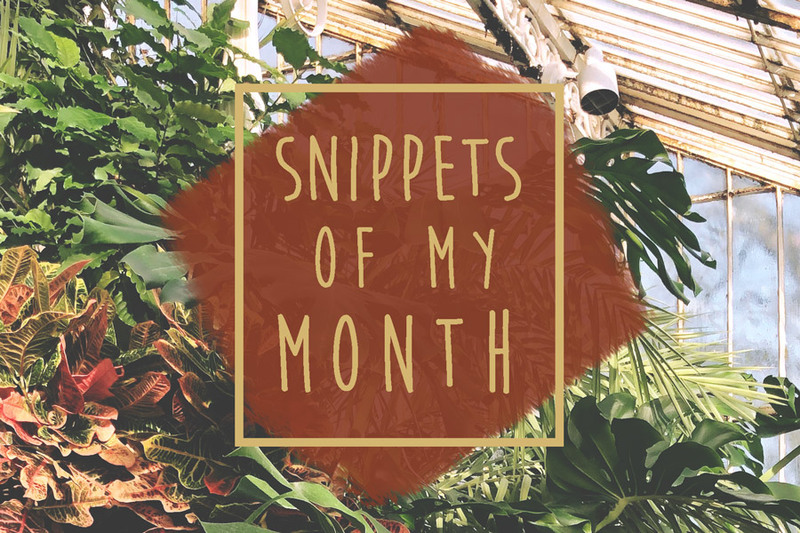 I'm not entirely sure what my aim even is on here anymore but one thing I really enjoy is using this space as a home for the many photos I take, share my super sketchy artwork and most importantly; reflect on previous posts - more like an online diary. In the beginning, I really wanted to post super high quality photos and become this energetic, life loving, multitasking DIY/Beauty/Fashion guru all at once... Guess it goes to show the importance of planning things before delving into them, right? So yeah, like I said, this is going to continue as a super casual platform based around my life happenings and things that interest me. 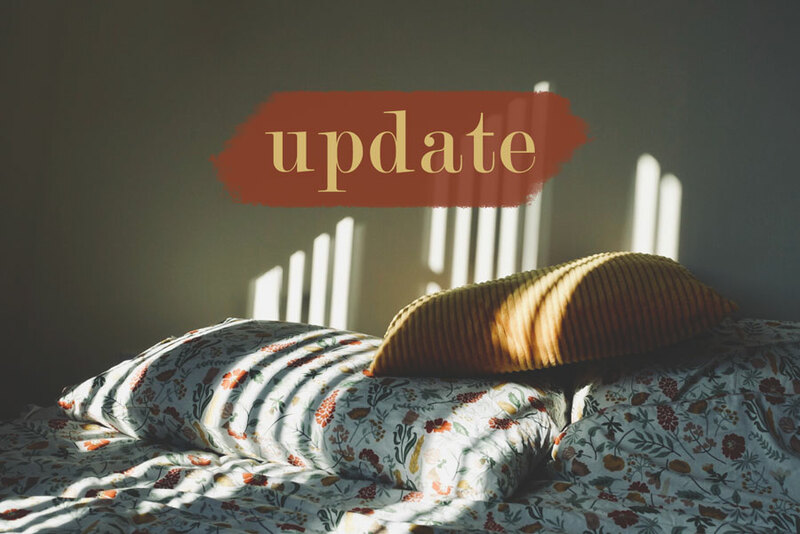 Not sure how compelling that sounds as of yet but at least everything remains more manageable and motivating for me to keep up with. Hope that makes sense! 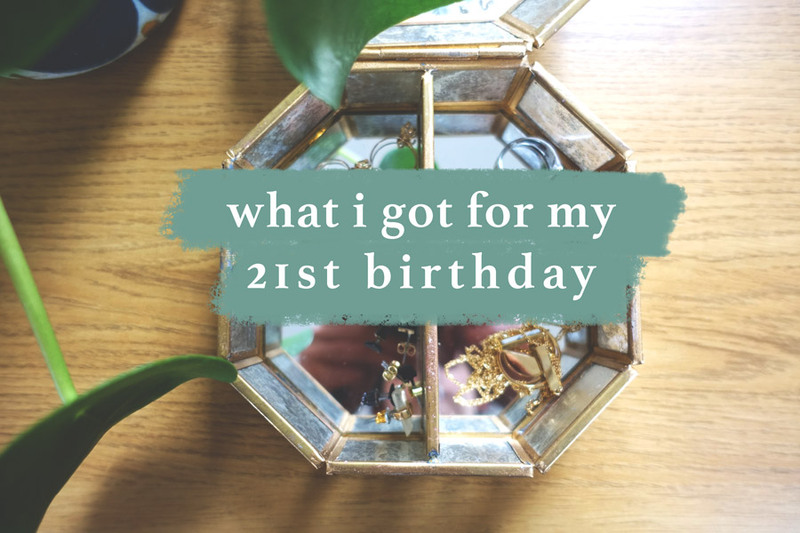 So I recently turned 21 and it’s come with all sorts of feelings and new adjustments in my mind. Sort of like rearranging the filing system in my head I guess. I’ve never been overly conscious about my age, but I guess the hype around your big 21st has got me thinking. Like, I feel as though I’ve already achieved so much in certain areas of my life, but I’m lacking in others. For example, I’ve finished uni with results I never thought I could've achieved, got my own apartment and a job to fully support myself, but there are still major milestones in life that I haven’t even touched yet - like learning to drive or working for a major company in my field. But I guess the important thing to remember is that the right time for these things will eventually come and it’s best to not compare myself to what everyone else is doing. Ok - reflection time over. Time to get a grip. 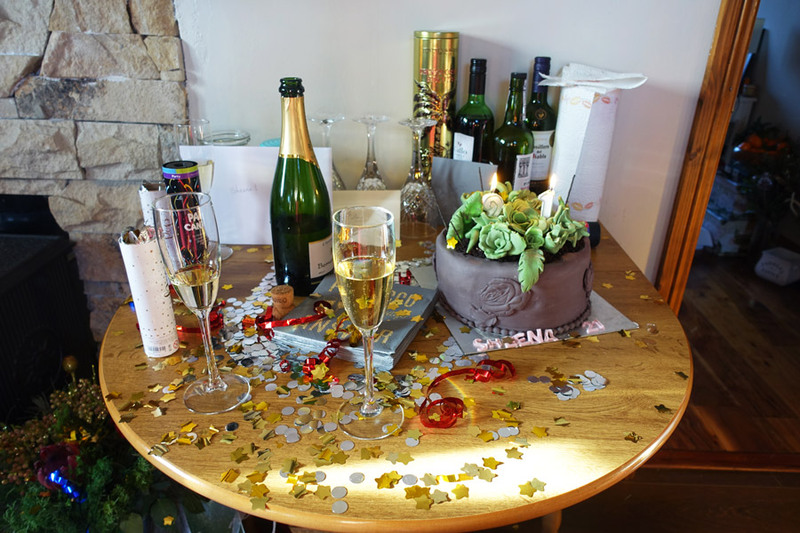 My family threw me an amazing little party back home with prosecco, cake, balloons, confetti and of course, presents - and lots of 'em. So I shot a few pics of my faves to share and here they are in no particular order! I did actually ask for a couple of these pressies, and my most practical request was probably this bag, which was like a total necessity. I’ve been toing and froing between work and home with a backpack as my usual handbag just isn’t big enough (yes, I probably do overpack for work but anyway). 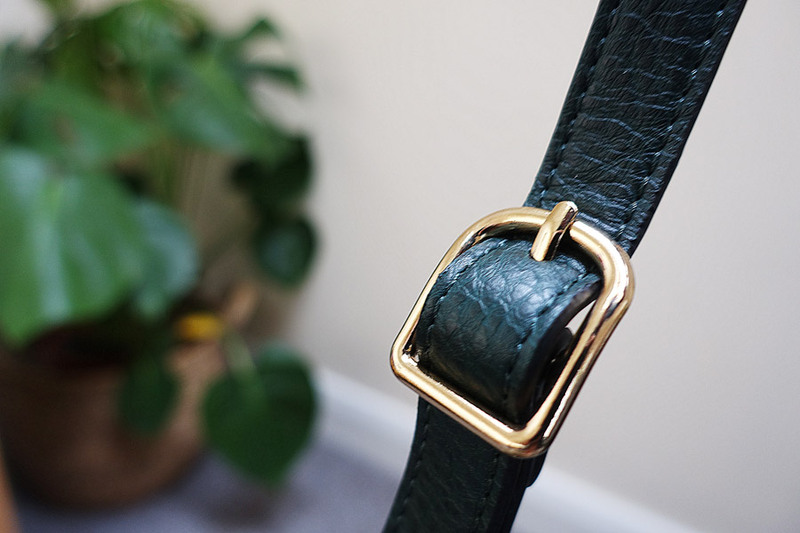 I asked for this semi circular, bottle green, cross body bag that I had been eyeing up in Marks and Spencer. 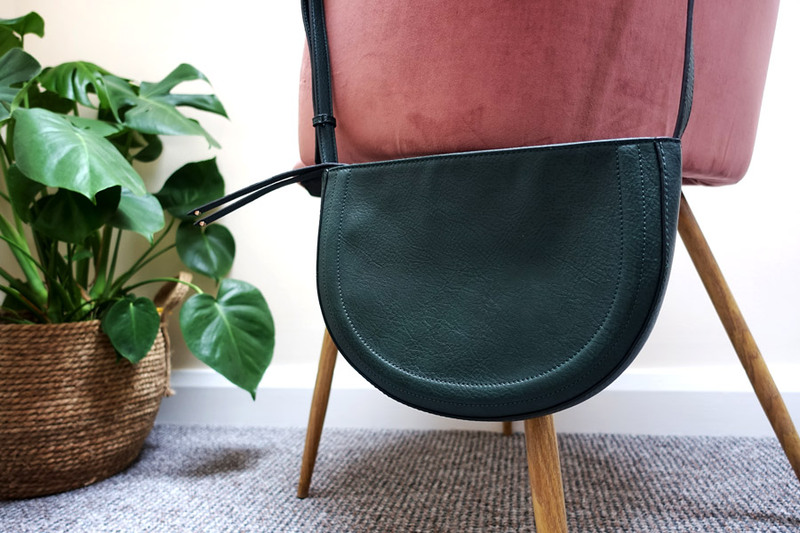 Bottle green is my current obsession and I swear I already own almost every item of clothing in this colour, so this bag without a doubt fits seamlessly into my wardrobe. 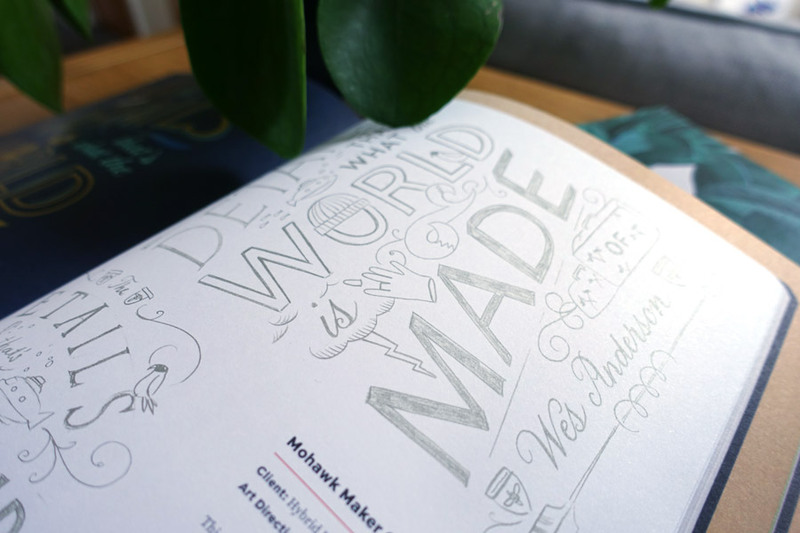 I also asked for a book solely based on lettering. 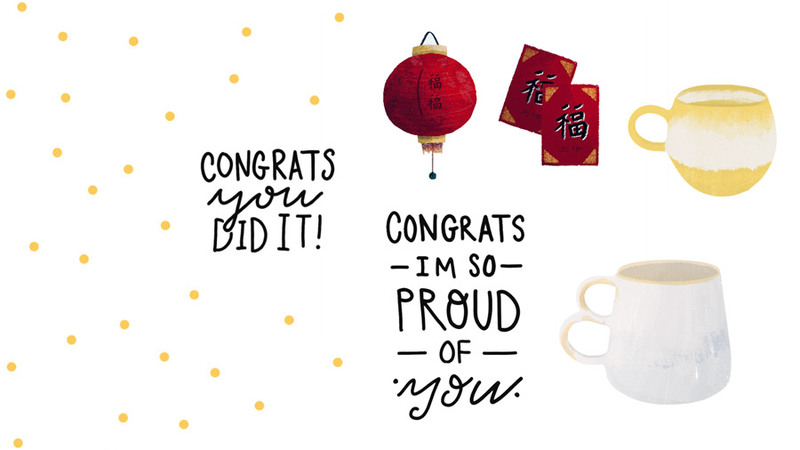 I’ve got a tonne of Photoshop files filled with my own prints and patterns but I’ve been seriously lacking in the lettering department. It’s an area we barely managed to touch on in uni but I've always admired and wondered how it was done. I’ve spent the last year perfecting my faux calligraphy but I figured that it was now time to branch out from just one style and to start studying different lettering combinations and layouts. 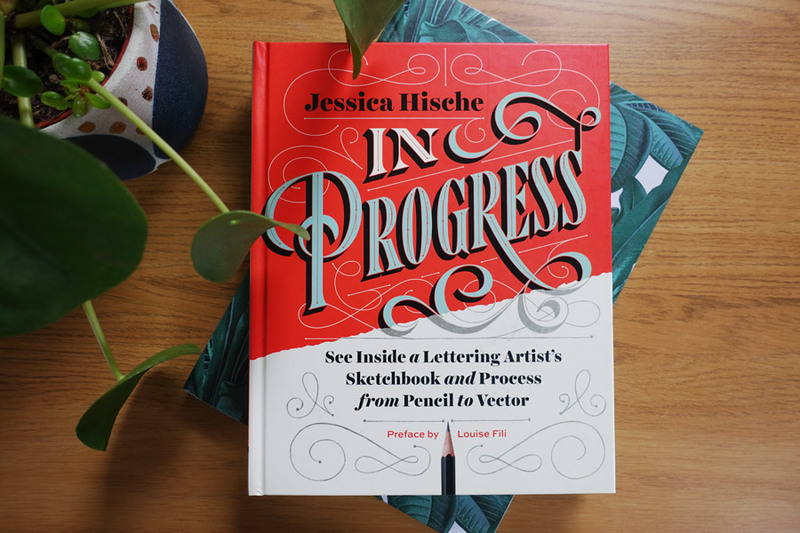 So far, I feel as though I’ve been extremely lost in this world of typography and Jessica Hische has just taken my hand and is currently guiding me in the right direction, through her book 'In Progress', from her initial hand drawn sketches to the final, digital print. So I guess it’s just down to me to practice! This cushion was a total surprise from my sister. 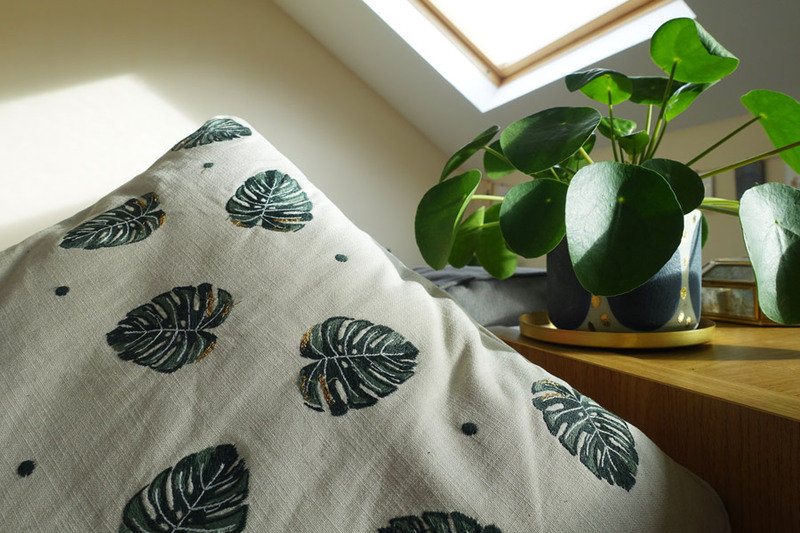 At this point, everybody knows how much I adore Roquefort, our aptly named cheese plant, so this cream canvas cotton cushion from Elizabeth Scarlett featuring embroidered monstera leaves is ideal for the flat. I really admire the attention to detail paid in the design with the the glitzy gold threads, adding a little bit of sparkle to the couch! 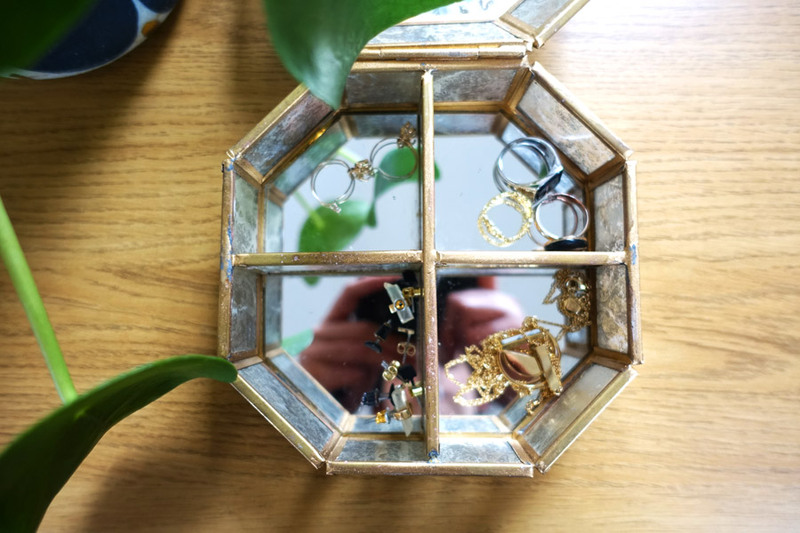 Next is this gold edged, mirrored jewellery box. It was a complete surprise from my mum and although she claims that it didn’t cost much, it’s an extremely personal present. 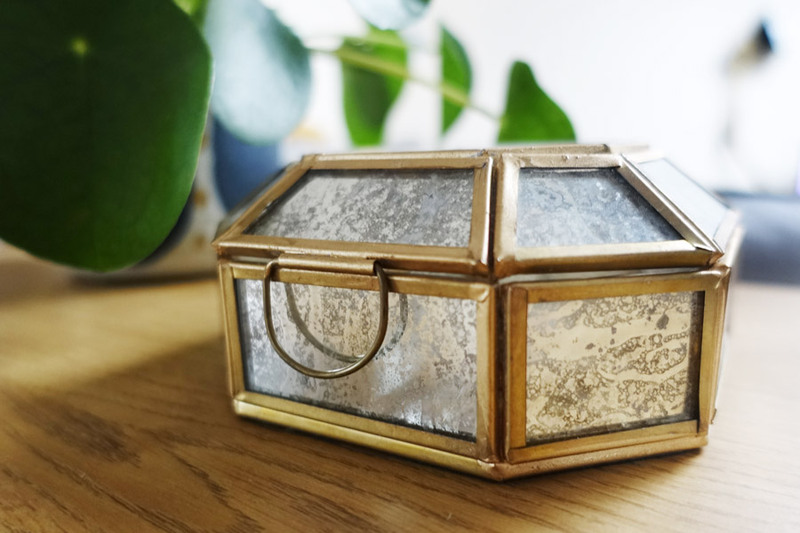 I’ve whinged about how expensive these little glass and brass boxes are almost every time we've gone shopping, but she managed to find me the perfect one in Dunnes Stores. I honestly think this one has so much more character than any of the others I’d seen before and I adore it’s rustic look and the fact that it features mirrored sides rather than glass so no one can see in. The dividers in this piece have been such a help too as I can separate my earrings from my rings etc. I’ve placed it near my plants now because it reminds me of a tiny greenhouse among the trees - v cute indeed! And last but not least, I received some wall art!! 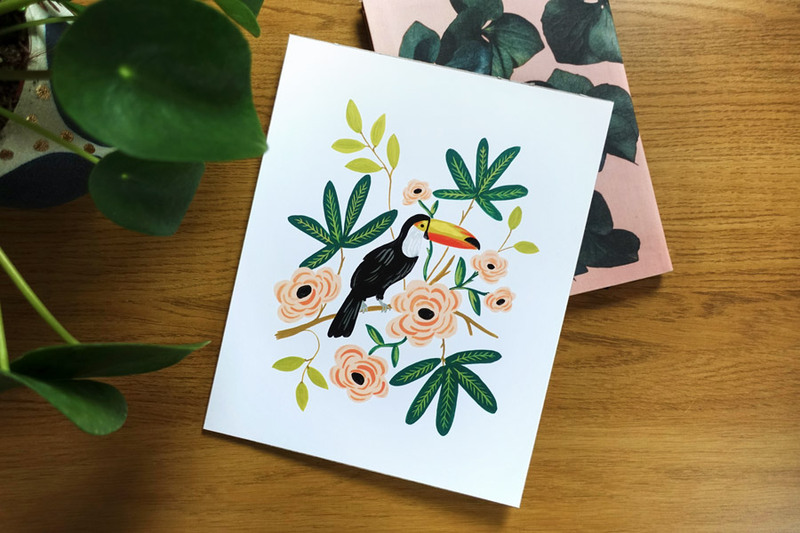 I’d been looking at the Rifle Paper Co. prints for a super long time before Adam got me their cheese plant one, and I am now SO happy to have the toucan print now so I can hang them up side by side. I can't wait to see how this is going to look in our apartment, just gotta get matching frames and some 3m strips!! So that’s a wrap! I did get a few other bits and pieces for my birthday but I thought I’d just share a small selection so as not to bore you! Here’s to a happy new year and fingers crossed, to a happy 21st! It's been a whole month now since I've moved to Belfast and I’ve managed to bag myself a dream apartment, a new phone and a new job. All within a month, all within my budget and all exactly what I wanted. It’s always a scary feeling when so many things go to plan, especially all at once, but I'm trying my best to savour this time, make the most of it and just hope that it lasts. It’s been a month of changes for sure and it makes me feel a little nostalgic and self aware but I’m just telling myself that there’s no rush and things will fall into place. 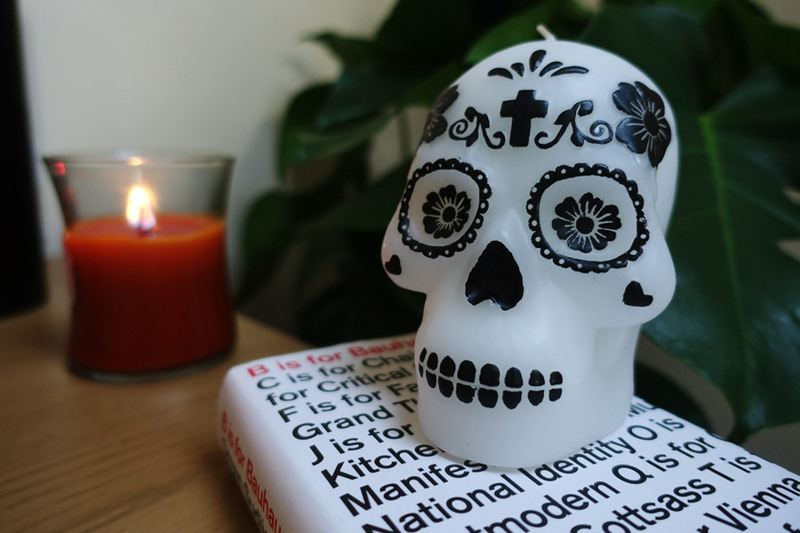 Asides from stressful-real-world-adult-stuff, I’ve been trying my best to make this October as ~spooky~ as poss. October for me has never really been what I've wanted. I've just never felt as though I could really make the most of it. During school, there were midterm exams, and assignments at uni. But now that I'm free from education for the first October ever, I've been LOVING it. You're probably thinking wait, why wouldn't you just take a weekend off study/assignments? And you're right, why couldn't I just do that?? Back then, even when I'd take the time off, I'd constantly have the thoughts of my assignments looming over me to the point where I couldn't really enjoy living in the moment anymore. It's sad, but I guess the pressures of school and work can really get the better of you. BUT - not anymore. This year I'd gotten my priorities straight early and started my Halloween celebrations on October first to make up for lost time. 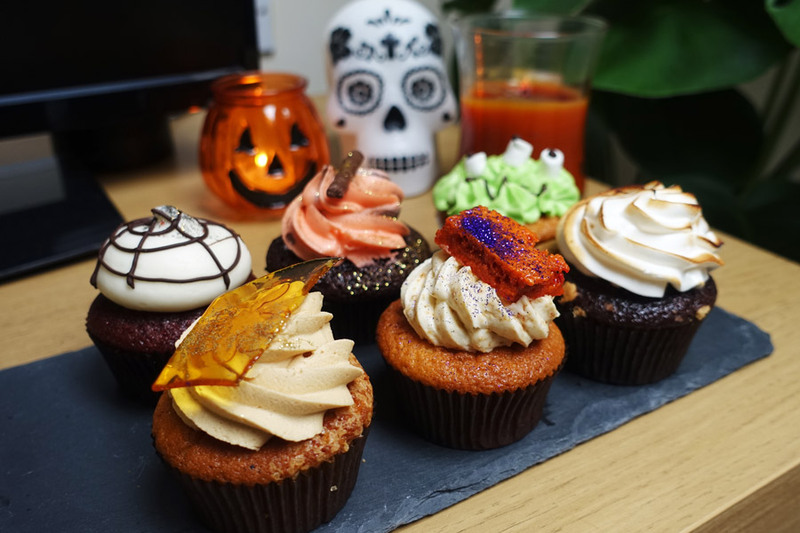 As you may have seen in my last post, Adam and I decked our (new) halls with pumpkin lights and skeleton candles quite early on in the month and the following weekend, we managed to get our hands on some Halloween cupcakes from J-bird. They came in toffee apple, chocolate orange, s'mores and not only were they deeeelicious, (possibly the best cupcakes I'd ever eaten) they even looked the part. 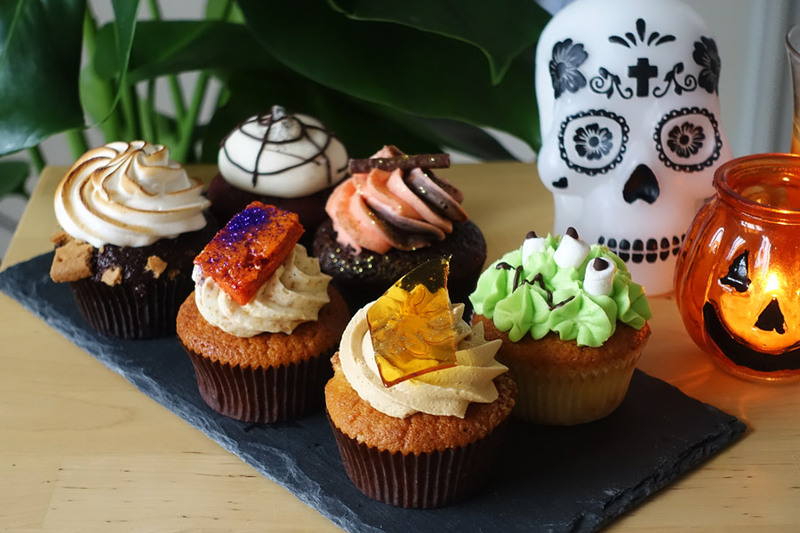 The webbed icing, the burnt effect of the meringue, the hard toffee shard, and of course my personal favourite, the green alien from Toy Story, they were suchhhh a great Halloween assortment. 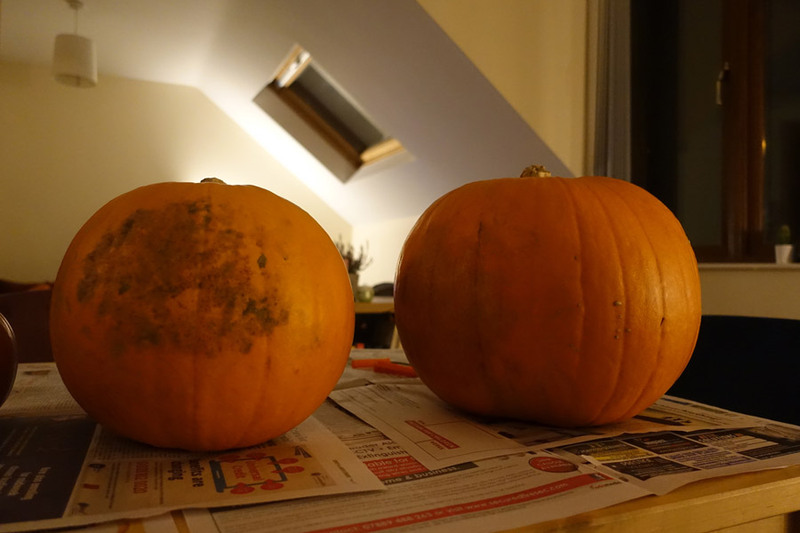 A week later, my mum came to visit and we really got our spook on with some pumpkin carving. 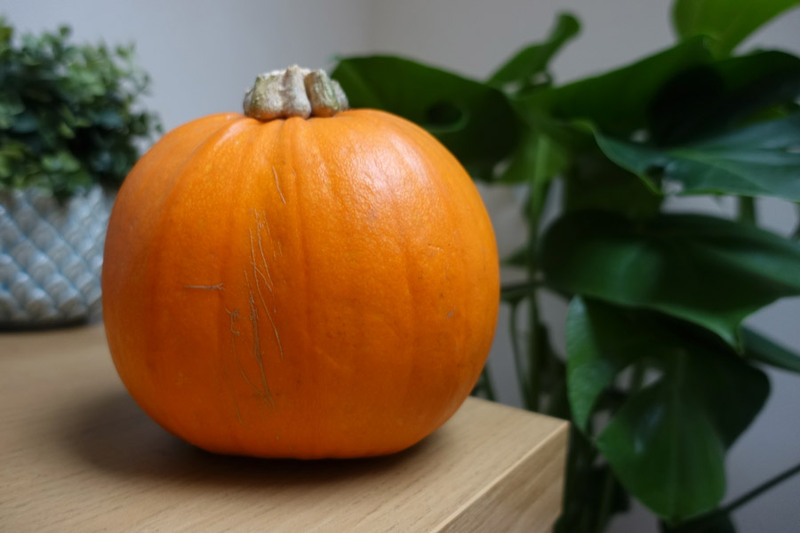 Usually, we'd just get one pumpkin, someone would scoop out the insides and I'd end up carving Jack Skellington's face into it and this had somehow turned into an unspoken annual tradition. 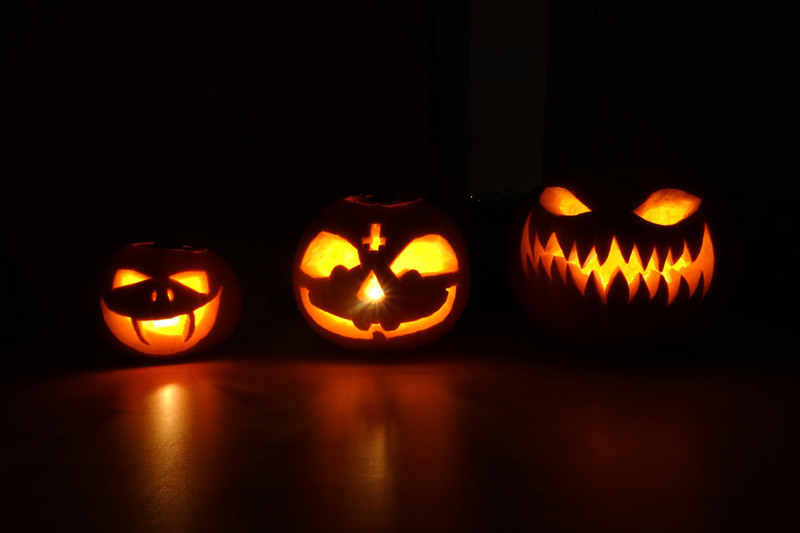 This year however, we got a whole freaking family of pumpkins; small medium and large and we each totally free styled them. I'd been using Jack's face as a template for so many years now that it was time try something different and just have fun with it, so I ended up giving my pumpkin some evil eyes and monster teeth. 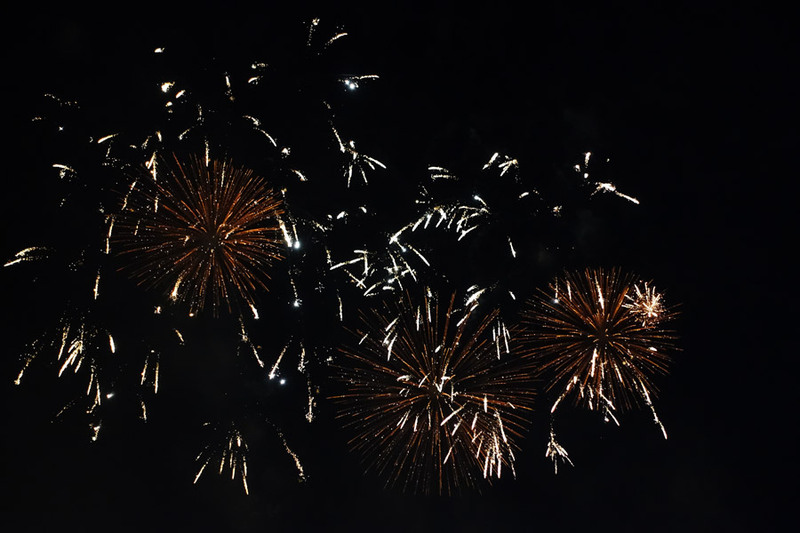 This weekend, we went to the Belfast Halloween Fireworks for the first time. I always seem to underestimate how exciting seeing fireworks are - usually I'm like -yep seen 'em a million times before- but when I'm actually watching them, it's always super magical. I mean, the fireworks were in no way Halloween-y or anything (although we did see some dude wearing an actual pumpkin on his head and I can't get over why he would put himself through that) but it was the perfect way to close the month. 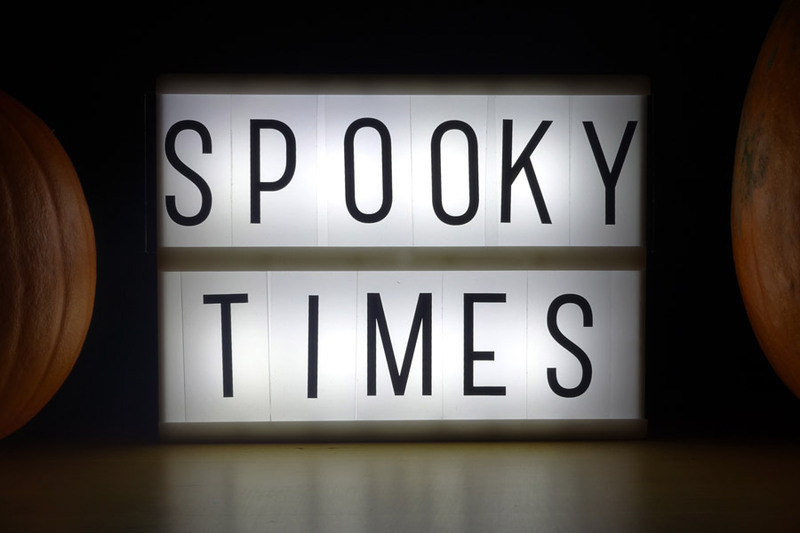 It was definitely the best October I've had in years, I think we managed to pack every weekend with something Halloween themed which is exactly what I'd hoped for. Now that university and all of that education is over, I feel like I can finally start doing things the way I want to and so far, it's been great. Hope you all have the Happiest Halloween! My life as of late has just consisted of packing, wrapping and unpacking. Yep, I'm currently moving to a new apartment - Gulp. I know that everybody says moving house is meant to be one of the most exciting things you do, especially now that Adam and I are ending the ~long distance~ part of our relationship but honestly, this whole moving business is so damn stressful. Our flat is FULL of suitcases, bags and boxes and for some reason it's taking me ages to get my head together and just decorate the flat. 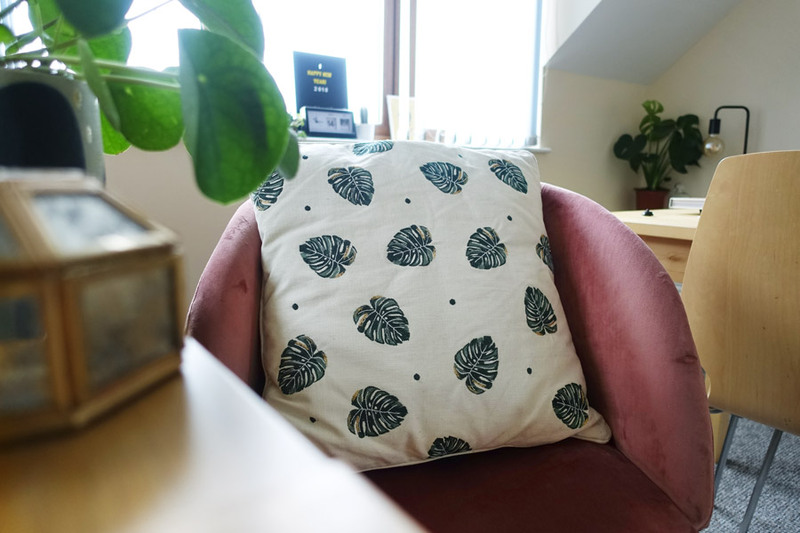 I don't understand, this is SO unlike me - I've waited years to have a place I could call my own, and now I have it I just wanna lie on the couch all day watching loose women and the chase. BUT I guess moving to a new city is daunting enough - setting up a new bank account, a new phone, JOB hunting. Agh. Maybe my brain is being sensible by focusing on the bigger picture and saving my tiny breakdown over where I'm going to place all of my house plants for later. Anyway, I'm not a total failure - whilst packing, I managed to cram all of my decorations into one special box. My -festive- box if you will. SO, all of my October goodies were at the ready for our grand arrival. Over last few of years, I've gotten SO excited about Halloween. 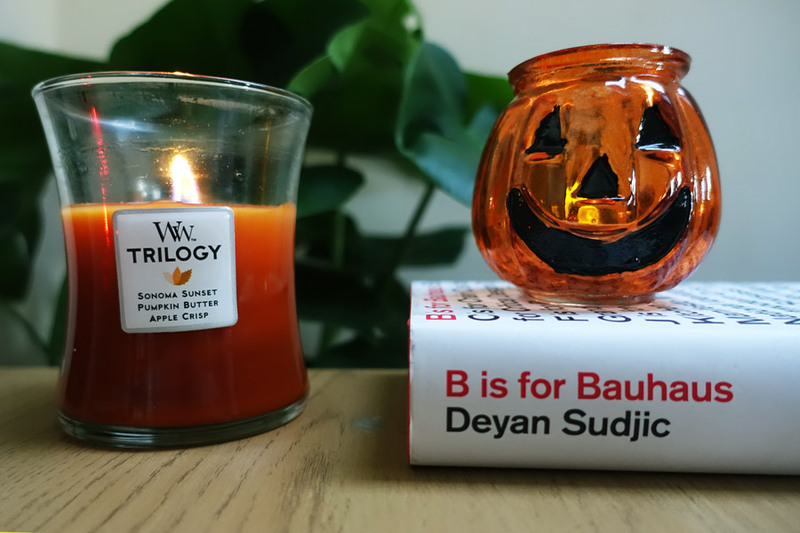 I mean, I don't even do anything on Halloween night except get cosied up on the couch, carve the pumpkin and throw on a spooky movie, but I've seriously bought into the whole Halloween hype. Maybe because it's an excuse for my suppressed inner goth to pay an annual visit from my early teen years. Or maybe because it's a cosy mini festivity to get excited over just as summer ends and right before the Christmas razzmatazz. Whatever it is, as soon as it strikes October first, every image in my mind is overlaid by a warm orange filter with crisp autumn leaves in the corners. Sort of like a snapchat filter, or tinted glasses. So yeah, I just wanted to check in and show a few of my Autumnal pieces that I've planted around the flat so far! Have you guys started putting up your Halloween decorations yet or are you waiting until it's closer to the date?